Non-linear wave equations, Spring 05. The announcement of the course is available in pdf and ps. Signaler och system I, för E, 5B1209, HT 2005. Analytiska metoder och linjär algebra II , 8p, för Öppen Ingång, 5B1141, VT 2006. Differentialekvationer II för T, 5B1207 (6 poäng), VT 2006. Signaler och system I, för E, 5B1209, HT 2006. Signaler och system I, för E2, SF1635, HT 2007. Diff och Trans III, för CL2, SF1637, HT 2007. Differentialekvationer II för T, SF1634 (9 poäng), VT 2009. Differentialekvationer I för Industriell Ekonomi, SF1633 (6 poäng), VT 2009. Differentialekvationer och transformer II för Teknisk Fysik och Medicinsk Teknik, SF1629 (9 poäng), HT 2010. Differentialekvationer och transformer II, del 1, för Teknisk Fysik och Medicinsk Teknik, SF1629 (4,5 poäng), HT 2011. Differentialekvationer och transformer II, del 1, för Teknisk Fysik och Medicinsk Teknik, SF1629 (4,5 poäng), HT 2012. Differentialekvationer I, för CSAMH1, SF1633 (6 poäng), VT 2014. Differentialgeometri, avancerad kurs, SF 2722 (7,5 poäng), VT 2015. For references related to the lectures, see here here. I do research in mathematical general relativity, in particular in mathematical cosmology. A poster giving a description intended for non-experts is available in pdf and ps form. This poster was written when I was still at the Max Planck Institute for Gravitational Physics in Golm outside of Berlin. The slides of a talk entitled "3-manifold topology, geometry and the Einstein flow" that I gave some time ago at the institute are available here. 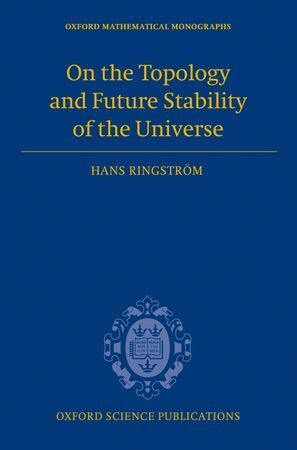 On the Topology and Future Stability of the Universe, published by Oxford University Press. Please send me an email if you have found errors. The Cauchy Problem in General Relativity, published by the European Mathematical Society. Those who have read the book and found errors are encouraged to contribute to the list of errata. Together with Håkan Andreasson: Proof of the cosmic no-hair conjecture in the T3-Gowdy symmetric Einstein-Vlasov setting, (accepted, JEMS; the most recent version of the paper (which was accepted for publication) is available here). On the future stability of cosmological solutions to Einstein's equations with accelerated expansion (pdf). To appear in the proceedings of the ICM2014. Curvature blow up in Bianchi VIII and IX vacuum spacetimes, Class.Quant.Grav. 17 (2000) 713-731. The Bianchi IX attractor, Annales Henri Poincare 2 (2001) 405-500. The future asymptotics of Bianchi VIII vacuum solutions, Class.Quant.Grav. 18 (2001) 3791-3824. 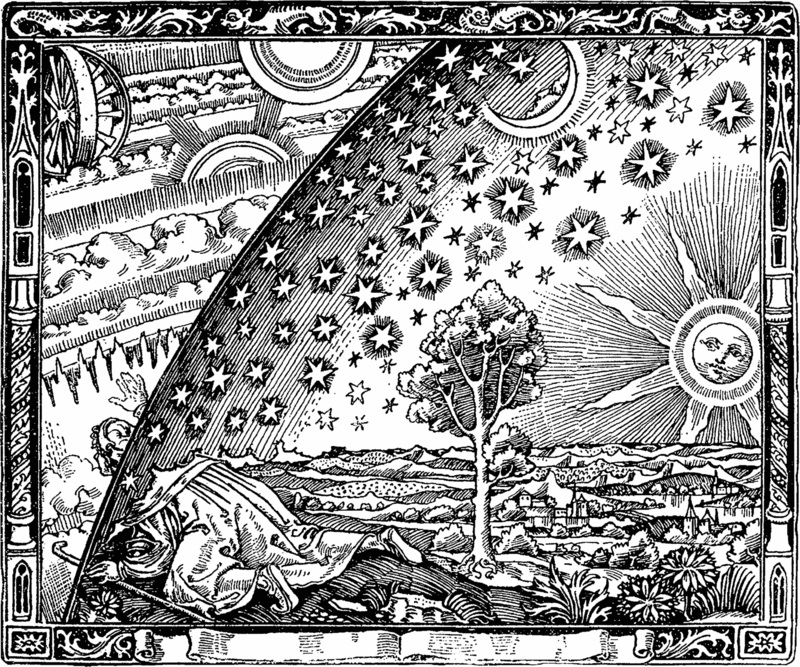 On Gowdy vacuum spacetimes, Math.Proc.Cambridge Phil.Soc. 136 (2004) 485-512. Future asymptotic expansions of Bianchi VIII vacuum metrics, Class.Quant.Grav. 20 (2003) 1943-1990. Asymptotic expansions close to the singularity in Gowdy spacetimes, Class.Quant.Grav. 21 (2004) S305-S322. On a wave map equation arising in general relativity, Comm.Pure Appl.Math. 57 (2004) 657-703. Data at the moment of infinite expansion for polarized Gowdy (pdf, ps), Class.Quant.Grav. 22 (2005) 1647-1653. Curvature blow up on a dense subset of the singularity in T3-Gowdy (pdf, ps), J. Hyperbolic Diff. Eqs. 2 (2005), no. 2, 547-564. On the T3-Gowdy Symmetric Einstein-Maxwell Equations (pdf, ps), Annales Henri Poincare 7 (2006) 1-20. Existence of an asymptotic velocity and implications for the asymptotic behaviour in the direction of the singularity in T3-Gowdy (pdf, ps), Comm.Pure Appl.Math. 59 (2006) 977-1041. On curvature decay in expanding cosmological models (pdf, ps), Commun. Math. Phys. 264 (2006) 613-630. Future stability of the Einstein-non-linear scalar field system (pdf, ps), Invent. math. 173 (2008) 123-208. Power law inflation (pdf), Commun. Math. Phys. 290 (2009) 155-218. (with Mark Heinzle) Future asymptotics of vacuum Bianchi type VI0 solutions, Class.Quant.Grav. 26 (2009) 145001. Strong cosmic censorship in T3-Gowdy spacetimes (pdf, ps), Annals of Mathematics, 170 (2009) 1181-1240. The Cauchy problem in general relativity (pdf). Acta Phys. Polon. B 44 (2013), no. 12, 2621--2641. Commun. Math. Phys., 334 (2015) 1299-1375. Digital Object Identifier (DOI) 10.1007/s00220-014-2258-8. For journal version, see here. Origins and development of the Cauchy problem in general relativity (pdf). Class. Quantum Grav. 32 (2015), 124003 Digital Object Identifier (DOI) 10.1088/0264-9381/32/12/124003. For the journal version, see here. On proving future stability of cosmological solutions with accelerated expansion (pdf). Surveys in Differential Geometry, Volume 20 (2015): One hundred years of general relativity A jubilee volume on general relativity and mathematics. Editors Lydia Bieri and Shing-Tung Yau. For the journal version, see here.